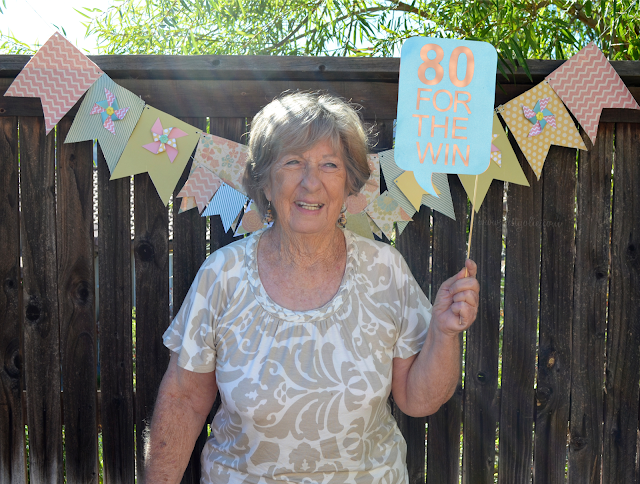 Last weekend we celebrated my mother-in-law's 80th Birthday....80 for the win! Happy Birthday Pat!! The Project Stacks make decorating for any event so easy! It's a party-in-a-stack. You can easily create multiple banners with one stack. I cut the canvas banners, punched holes and used twine to string them into place. 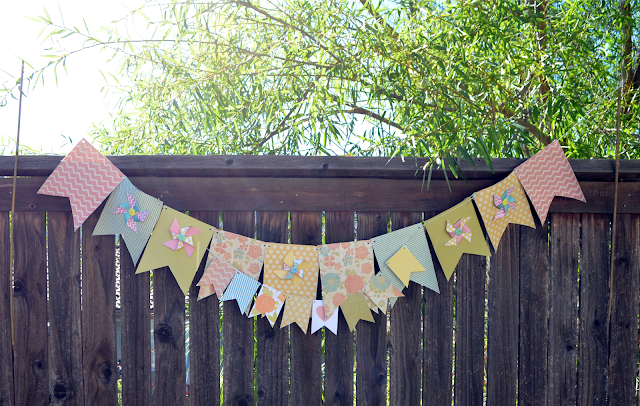 I added the medium pinwheels to embellish and added a smaller banner. Love the layered banner. 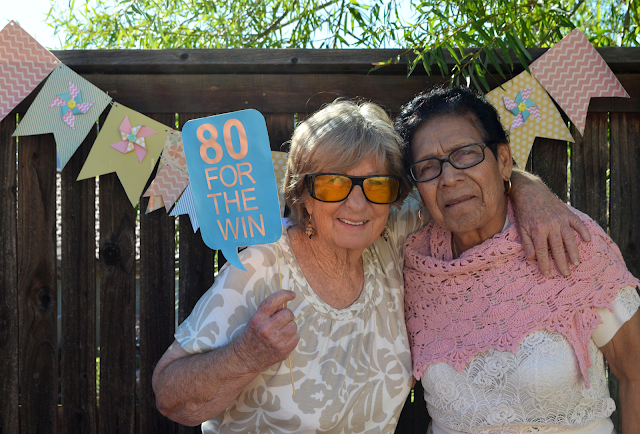 80 for the win!! I asked Pat to raise her sign high when she needed our undivided attention. It was her birthday after all. She raised it once. She got our attention and asked, "what time is lunch?" I designed the photo prop using my Cricut Explore. I also used a smaller version for the birthday card, photo below. Mom and Pat, this duo is hilarious! They both had such a good time. Here is the tri-fold card. 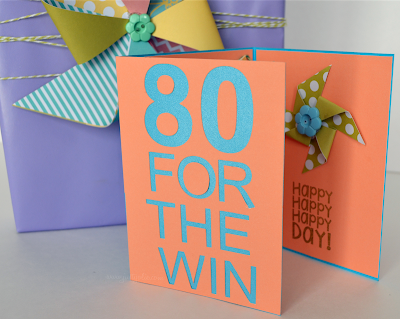 I scaled the "80 for the win" to fit the front of the card. 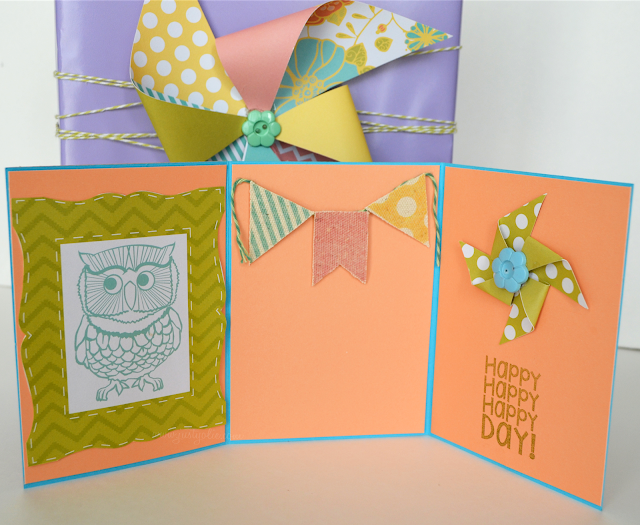 The inside of the card: the owl is a cutout included in the DIY Banner Stack. 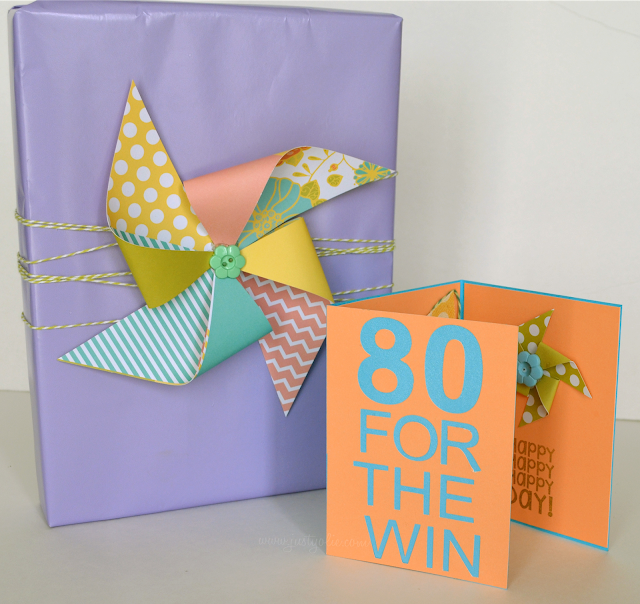 I included a mini banner and a small pinwheel. I then hand-stamped the sentiment. To create the large pinwheel, I trimmed the smaller squares (3" x 3") that create the small pinwheels. I was left with 5"x5" square and used it to create the large pinwheel. 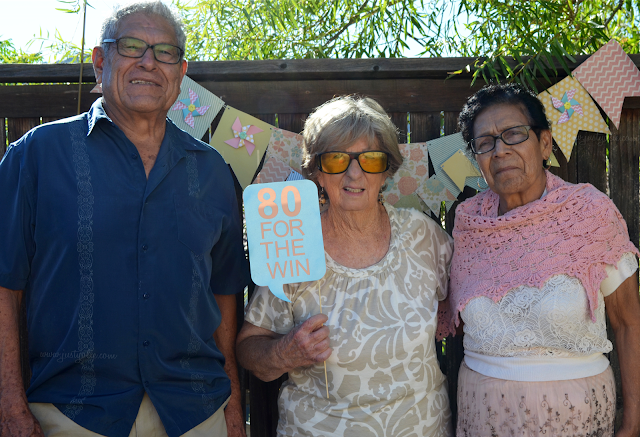 My parents and Pat....234 years of combined wisdom. I am so happy and blessed to have them in my life.